To celebrate the 75th anniversary of Listen to Britain, Humphrey Jennings and Stewart McAllister's poetic collage of British life, BBC Four and BFI commissioned a series of short films to celebrate Jennings' legacy. The result is ‘Listen to Britain 2017’ - 12 short documentary films - all very different but all inspired in some way by the 1942 original. Disobedient produced Ruth Grimberg's "Learning to Swim" as part of the series: a moving glimpse into the quiet world of an ordinary English town in Surrey where a group of people have formed their own response to the enormity of the refugee crisis. The film premiered at the BFI Southbank on 19th September followed shortly after by transmission on BBC Four in a special evening of programming introduced by Oscar winning director Kevin Macdonald. How does a mining community survive when the pit and it's heart finally closes? Combining film, music and performance to offer a poetic journey through the city of London. 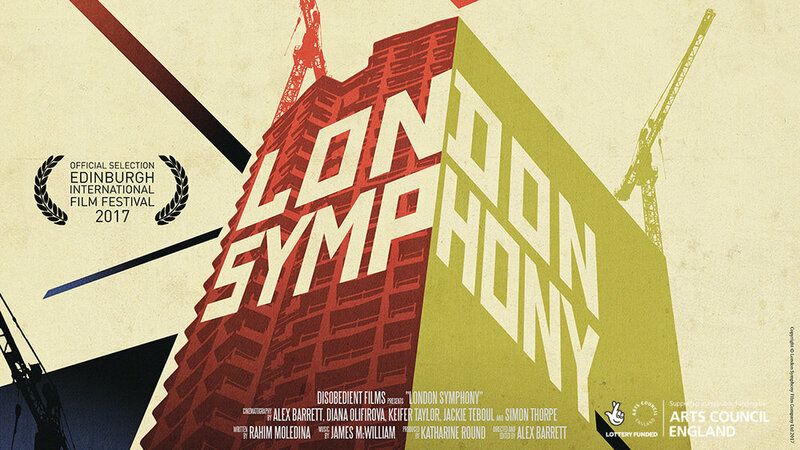 London Symphony is an artistic snapshot of the city as it stands today, and a celebration of its culture and diversity.